Too Faced Matte Liquid Lipsticks are available for $21 so any of the above shades are less expensive. Personally I’m not too big of a fan of their matte liquid lipstick formula (their regular melted lipsticks are great though) so all of these are great alternatives wether you’re looking for a similar shade in a different formula, or you want a more affordable alternative. 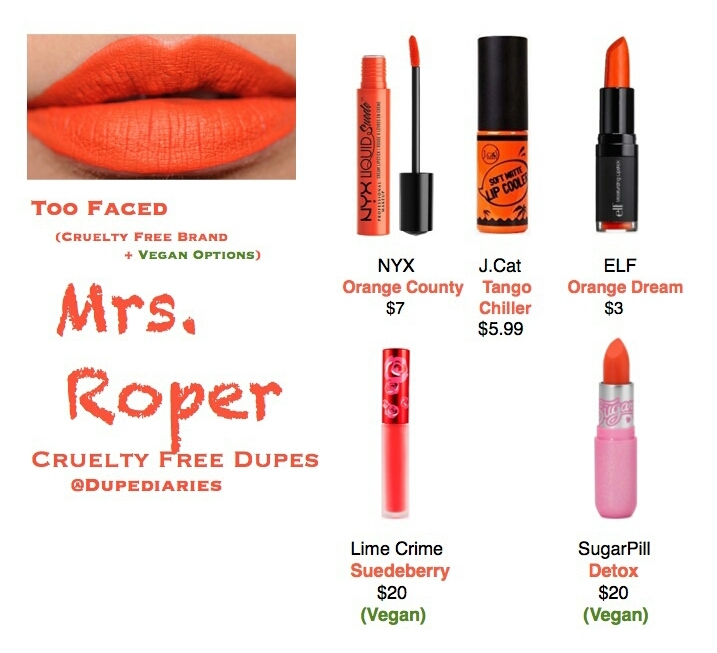 Of the above shades, the only ones that would not need a reapplication are the NYX and Lime Crime shades.